[Astah community] Rearranging items on "Structure tab"
I'm a student at a swedish university, and first of all I'd like to thank you for developing this awesome application. We just finished a software engineering project, in which we used a different tool, which ended up being a massive time sink due to poor design. Astah is quite the opposite -- it doesn't get in my way when doing simple things, while still providing optional ways to the trickier things. Thank you! If there was a license for a single student, I probably would've bought the professional version. Let's just hope I can convince my teachers that the Astah professional academy license is well worth the ##### (which it is). In the project view, on the "Structure tab", is there a way to arrange packages alphabetically? I think I've tried every menu in the application, as well as drag and drop, but I've found no solution to my problem. When there are a lot of packages it quickly gets annoying to have to go through the whole list to find what I'm looking for. Re: [Astah community] Rearranging items on "Structure tab"
Regarding your questions, currently all the Packages should be arranged alphabetically. Do you mean that you want all the items arranged alphabetically in the Structure Tab - not only for Packages? In Astah Professional, there is a "Search" tab which enable you to find any models you are looking for and then jump to the target item on the structure view and also on the diagram from there. 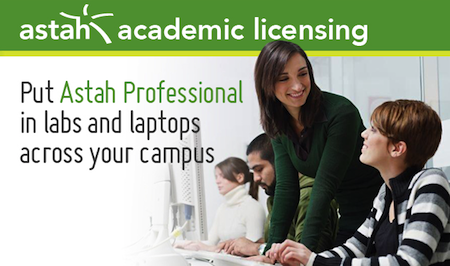 If you are going to talk into your teachers, please let them know the most inexpensive option for the class called "Faculty Site License", there are many universities especially in Europe who are taking the benefit of this licensing option. If you have any further questions, feel free to let me know by replying to this post or email us. Thank you.